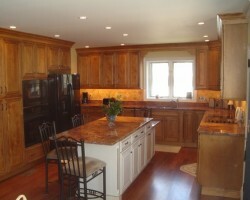 Professional local remodeling companies need to compete with the standards set by GloRem LLC. This company offers estimates even before you decide to work with them, flawless work and relatively cheap prices too. From start to finish, this team will make sure that the project is done to a schedule that suits you and is completed on budget too. With such a personalized experience, it is almost guaranteed that you will love the final results of the collaboration between you and the company. Doug Pruett Construction Company Inc.
Having the perfect kitchen is possible when you work with Doug Pruett Construction Company Inc. As a Baltimore kitchen remodeler, this team is familiar with the reasons you may be looking to update this room and how to make this happen. From restricting the space to function better with your lifestyle to changing fixtures, this team is there to do it all with you in the drivers seat. Reviews say that being in control while also having expert guidance is one of the best things about working with this company. 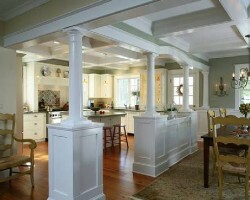 For over 15 years Eva Construction has helped countless homeowners with new builds, remodeling and commercial projects. The scope of this company’s work is a testament to the abilities of each member of the team. From the designers to the construction workers and plumbers, each member is highly skilled and is able to adapt for any project. 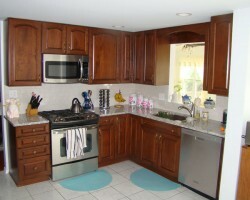 This combination makes the team perfect for kitchen remodeling in Baltimore, MD. Any request or desire you may have will be met by these experts. 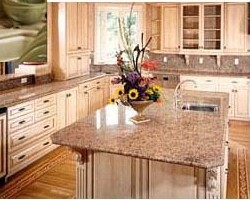 Columbia Kitchens of Maryland Inc.
Columbia Kitchens of Maryland Inc. is specifically a kitchen remodeling contractor. With a company that is totally focused on all aspects of the kitchen, you can be sure that you are always working with the most experienced team. 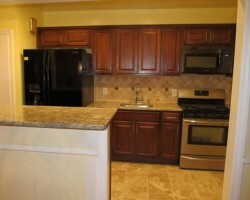 The professionals at this company have thought about every aspect of the project that they will walk through with you. From designing to in-home measuring, estimating and drafting, this team has every part of the project covered so when construction begins the time will be used effectively and the project will be finished quickly. For the last 20 years Westmoreland Design & Build has been the go-to remodeling company for homeowners that need an updated kitchen. Whether you are moving into a new home that needs some attention or are simply tired of the existing kitchen, you need to work with this team. They work to find their clients the most affordable materials and work to make sure the resulting kitchen is exactly what they have always wanted. There is no better company to renovate your Maryland home than this one.